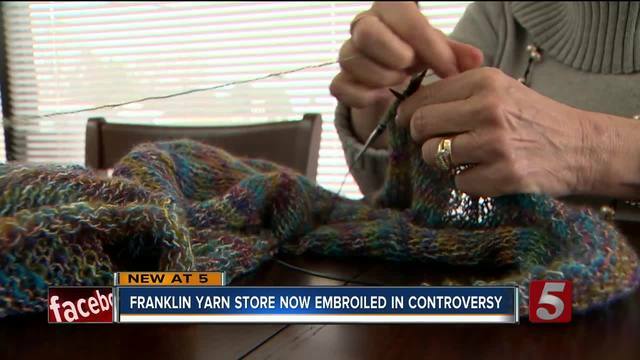 The owner of a Franklin yarn shop spun up controversy on Wednesday after taking to Facebook to tell supporters of the 'women's movement' that they can take their business elsewhere. Elizabeth Poe opened 'The Joy of Knitting' in 2012, her small store, located in a Franklin strip mall sells yarn of all different variations and offers classes to anyone looking to learn how to knit. However, on Tuesday a woman walked in asking for pink yarn to knit a 'cat hat' - those hats are being used at marches all over the country to symbolize the female anatomy and to show some participants opposition to President Trump. "With the recent women's march on Washington, I ask that you if you want yarn for any project for the women's movement that you please shop for yarn elsewhere. The vulgarity, vile and evilness of this movement is absolutely despicable. That kind of behavior is unacceptable and is not welcomed at The Joy of Knitting. I will never need that kind of business to remain open. Two wrongs will never ever make it right." 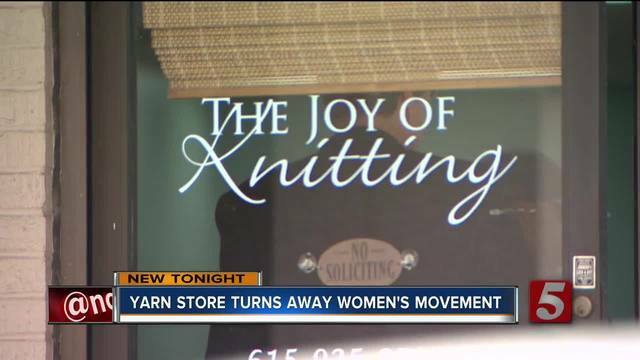 The post has gone viral, attracting praise and criticism from knitters all over the country. "These people are hurting and I am too for this country. They’re passionate I wish they would channel that passion into a better way of getting their point across. I think some of the ways they are protesting has gotten ugly and nasty and I just don’t want to support that," Elizabeth said in an interview on Wednesday. Her phone hasn't stopped ringing since the post went viral. Many woman are calling for a boycott of the small business. "The fact that you are able to own your own business is in part because some brave women marched decades ago," one person replied to the post. Elizabeth says she isn't against the actual movement, instead she says she's concerned with some signs she's seen and some of the vulgar language celebrities at the rallies have been using. "I am not perfect. I’m not trying to throw stones at this movement I’m just telling you we’ve lost our sense of social decency and we are hurting. And I hurt with these women," Elizabeth said. At one point on Wednesday, one woman opposed to Elizabeth's post came to the store in person to voice her discontent. "Collectively we were there for love and unity," Sandra Barrett-Hoomani said as she gave Elizabeth a hand written letter with her concerns. Sandra attended the Women's March in Washington D.C. and said she was disappointed to read The Joy of Knitting's post. "These are people and causes that we are instructed to stand up for," she said.